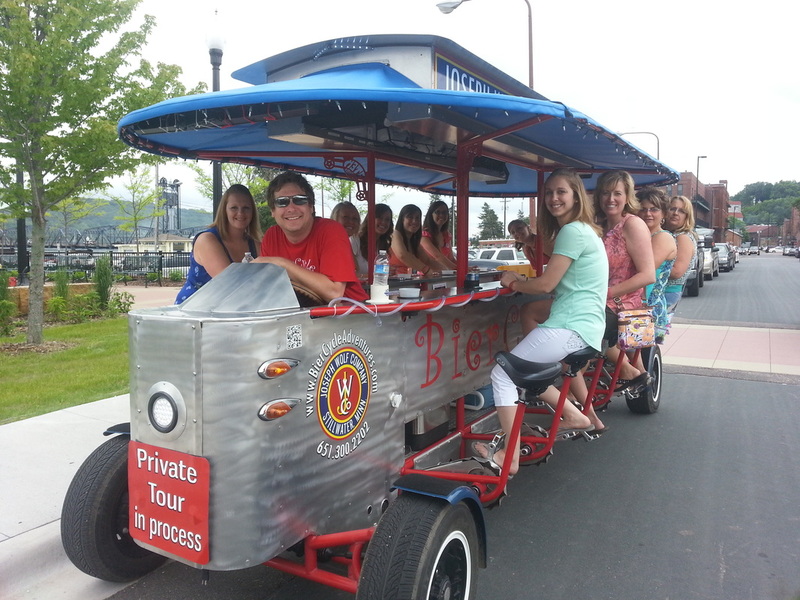 BierCycle Adventures is Stillwater's own multi-person pedal bike! Experience this small historic town in a way you never have before. We offer public historic tours of downtown Stillwater as well as private reservations. Read more about the BierCycle on our About Us page. The Historic Public Tours are not ready for the season, but please call ASAP to schedule your Private Tour. Now hiring part-time drivers, and servers! 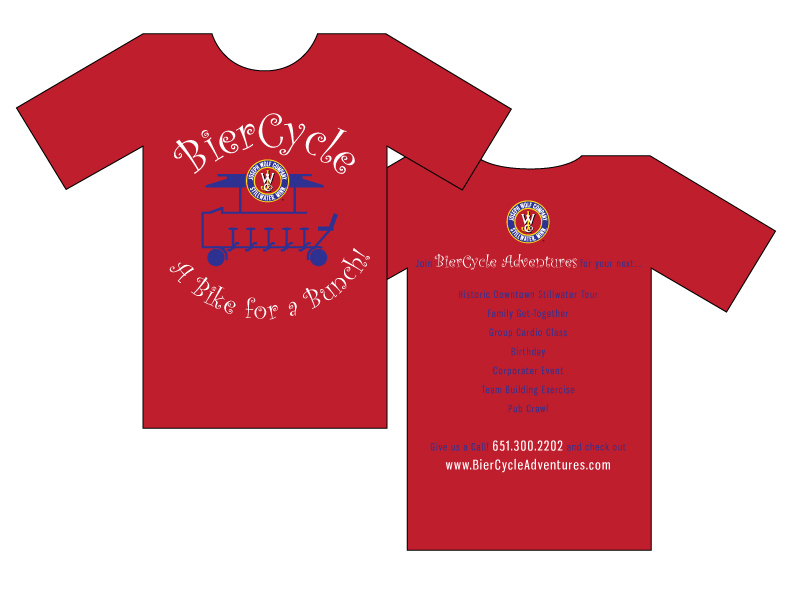 Order your very own BierCycle T-shirts today! $20 each. "What a great experience! Lisa was an incredible host... the BierCycle team was flexible and a lot of fun. We had an awesome time as a team - Thank You." BierCycle Adventures, LLC is an affiliate of Joseph Wolf Brewing Company in Stillwater, Minnesota. Copyright © 2018 BierCycle Adventures, LLC. All rights reserved.